By now, most of you reading this have probably heard the incredibly tragic story of the loss of a phenomenal young boy named Sammy Sommer. His parents, Rabbis Phyllis and Michael Sommer were both in Rabbinical School at the same time as I was in Cincinnati and I am blessed that our paths crossed and we became friends. Like countless others, I was so moved by Sammy’s battle with leukemia. I stayed up to date on his progress by reading his parents’ blog, by making sure to read his name aloud from our meshbayrach list at my congregation, by buying a tshirt he helped to design, and simply by praying. Along with a number of my colleagues (including a few who have written for this blog- Rabbi Adar and Rabbi Winnig), I decided to join #36rabbis “Shave for the Brave” and commit to shaving my head. At first I signed up hoping to honor this amazing young boy…and then sadly and far too quickly my commitment became one of memorializing a hero, as Sam departed this earth back in December. When I signed up to shave my head of course I had a few reservations. How would my congregation react to seeing their rabbi bald, especially at major events such as B’nei Mitzvah? Or how would one of my best friends feel if I had to wear a wig at her wedding while I was serving as both a bridesmaid and the rabbi? Truthfully, after a little ponderance and a few conversations, I wasn’t so worried anymore. My next concern came about with what to make as my fundraising goal. Should I make it something I knew I could easily reach…or should I “reach for the stars?” After a little “back and forth,” I set my goal as something I know is rather high. Over the last few days I’ve thought about changing my goal to make it something that I can more easily attain. However, upon reflection on the life of Sammy Sommer, I know I must reach for the stars. I know that my goal may be a little high, but I also know that I’ll either meet it or at the very least I’ll work REALLY hard to get as close as possible. I’m already so proud of the students at my congregation who helped by putting on a talent show to raise funds. I’m also incredibly grateful to my friends, friends of friends and even strangers who’ve donated on my behalf. 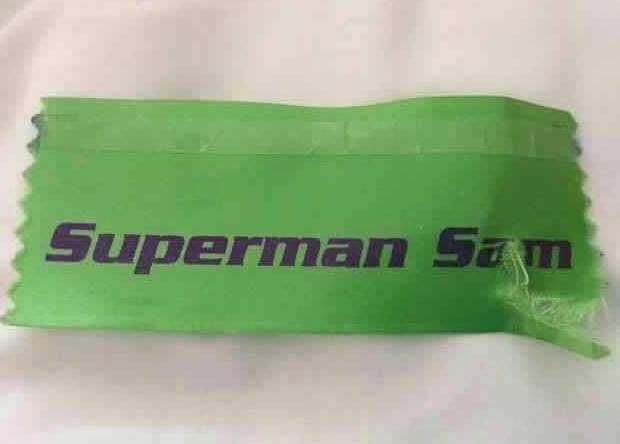 No matter how much I personally raise- whether I hit my goal or not, I know that an additional legacy of Superman Sam will be for me- and hopefully others- to set our goals high and constantly reach for them. I pray that Sammy’s memory will always be for a blessing and that his legacy will be for a better world. I pray that through our fundraising campaign- a campaign that to date has already raised over $349,000, a cure for childhood cancer will soon be found. If you are so moved, please feel free to sponsor me (click here) , Rabbi Adar, Rabbi Winnig or any of the rabbis participating in this campaign to eradicate childhood cancer. Together we can truly make a difference! Rabbi Emily Ilana Losben-Ostrov is the Rabbi of Sinai Reform Temple in Bay Shore, New York. Throughout my life, beginning as a young child, I have been involved in numerous social justice causes. I have tramped through snow delivering political pamphlets on behalf of candidates. I have walked miles and hopped on my bike to ride to raise money for causes. I have attended rallies, benefits and new conferences in support of various issues. I have dialogued and protested. I have written letters and made phone calls. I have baked cookies, cooked meals and donated money and given away car loads of clothing, furniture, books and toys. I have done it all wishing I could do even more to make the pain of the world and individual suffering cease. In the end of course I have always known, that the pain that I ease the most through all of my activism is my own. Giving always helps the giver more than the recipient. That is why are rabbis taught us we should give thanks for being allowed to help those in need. Giving to people in need helps me keep my perspective on my own problems, both perceived and real. I freely admit that I obsessively read tales of people struggling to get by some days simply to remind myself that however bad I feel about my own lot in life, it could always be worse. But mostly I read them because I am inspired and impressed by the courage and strength people show in adversity and I hope to learn how to always have the same inner core of faith and courage that they have. I do however, most days, give to others because I am so grateful for what I do have. I am able to wake up each day with a roof over my head, able to put both feet on the ground and use all my limbs and have a mostly functioning brain. I have people I love and who love me in my life and I have seen and done so many incredible things in my life. I know how good my life has been and I am grateful for it. But of course while I am basically content with my lot in life, I am still ambitious enough to want to have more, to do more, and to give more. People who have become ill or disabled often express that as much as they are pained and hurt by their illness it is their need to receive care rather than give help that hurts more. I know this is true. I hate having to be needy. Perhaps my need to give is my insurance policy against needing. If I am the giver, than I will never have to be the recipient……I am certain Freud and others can go deeper…but let’s not. In 2014 I will turn 55. It is a good age and considering the alternative to getting older…I will age delightedly! I am celebrating my 55th birthday by doing several things. I am going to compete in at least two mini triathlons. I am competing to get my body in shape to have the strength, endurance and grace to finish the events and to be able to get up the next day able to walk with comfort. I am working on organizing my life so that I can really find what I need when I need it and not be overwhelmed by mountains of paper covering my office, my home and my car (this will be more difficult than the triathlons). I will also be doing one more thing…probably even more shocking to some than anything else I have ever done…I am shaving my head. 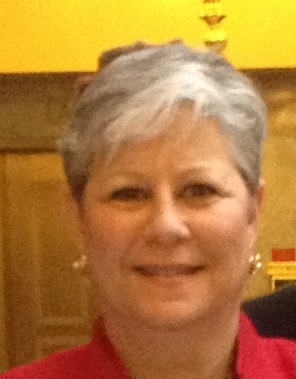 When I turned 50, I let my hair go to its natural color, grey. I decided I had spent 15 years of my life as a slave to covering up my natural color and had enough. At 50 I decided I wasn’t fooling anyone about my age in any case and I might as well embrace who I really was. The past five years have been both liberating and enlightening. But now, as I turn 55 it seems that hair is again going to be a focal point of my continued aging. I am going totally bald, at least for a while. 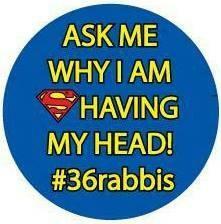 On March 31, 2014, I will join with 35 other rabbis in a program called “Shave for the Brave”. 36 rabbis are gathering to support our colleague whose son has leukemia and sadly is no longer responding to treatment. I have not met either my colleague or her son, but I have obsessively followed her story as she journeyed with her son through the world of cancer. You can read her blog at supermansamuel.blogspot.com. The “Shave for the Brave” will raise money for the St BALDrick’s foundation, a volunteer organization that supports pediatric cancer research. My sacrifice of my hair is nothing by comparison to what the children and families infected with cancer and other chronic illness deal with on a day to day basis. You can read more about my participation here. http://www.stbaldricks.org/participants/mypage/660958/2014. In the morning prayer service we thank God for giving us the breath of life and for giving us bodies that have veins and arteries the keep us alive. I thank God for my body, for my brain and for the ability to be a giver and a doer. Baruch atah Adonai Rofeh Kol basar u’mafli laasot. Blessed are you, God, who heals all flesh, working wondrously.